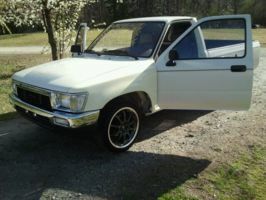 stock 22r 4 banger right now.Plan on building it soon. 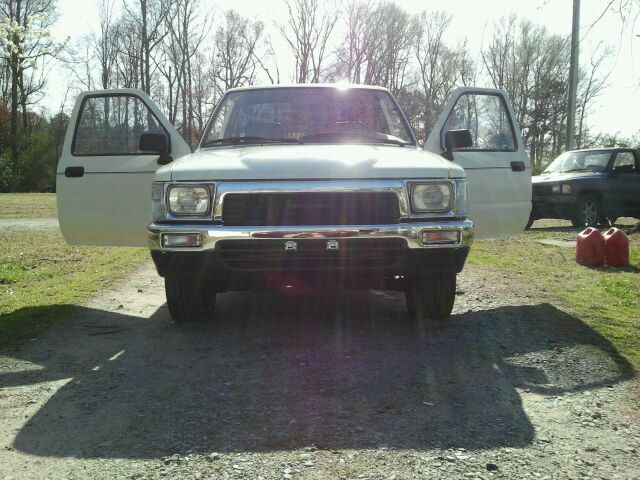 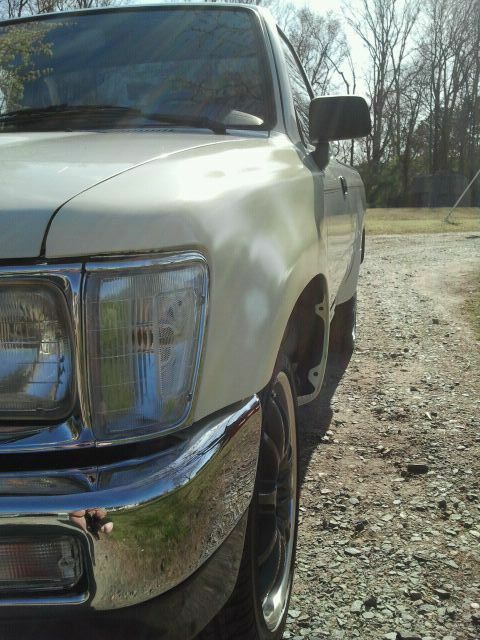 92 4x4 front end with clear lights, black euro tail lights,&amp; tinted windows not to much yet but its a start. 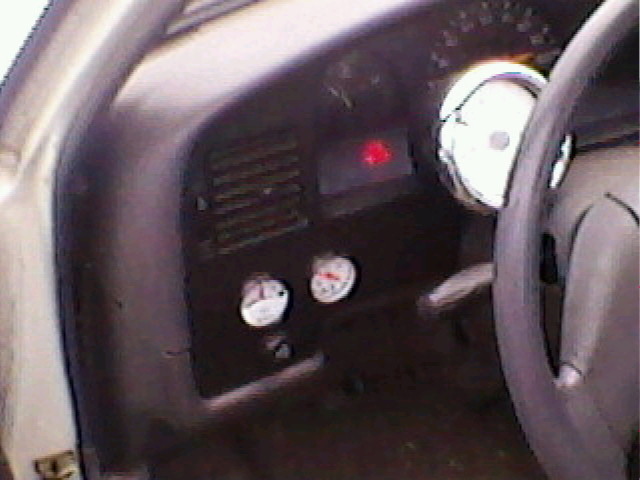 8 grand tech.I put oil,temp, &amp; volt gadges in the dash.Looking for some bucket seats for it I hate the beat down bench. 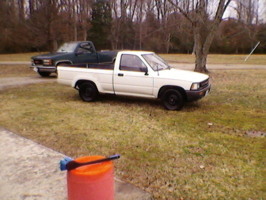 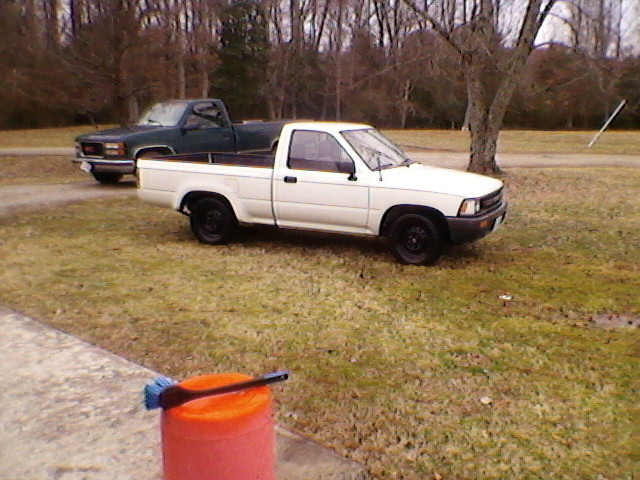 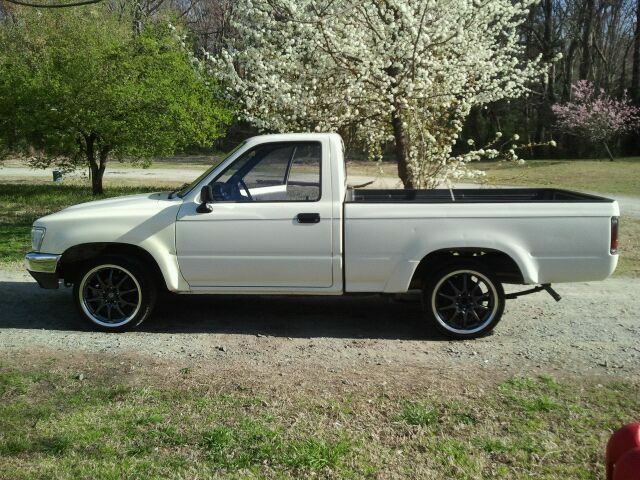 I just got the truck a couple of months ago it is coming along.I will keep posting pics as I put this yota togather. 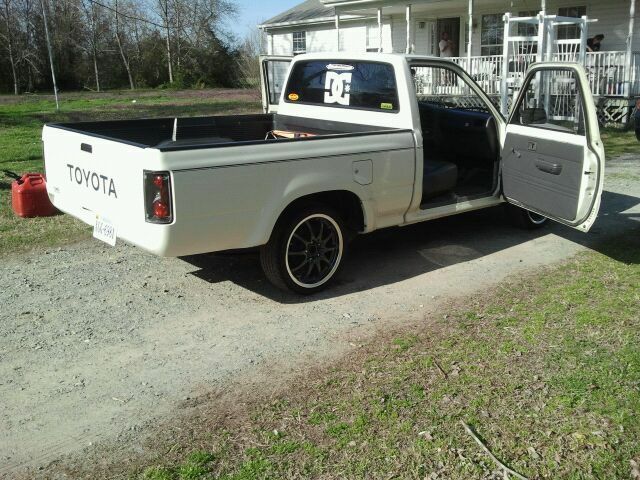 I wanna drop it 3 to 4 inches,Build the motor put a weber carb &amp; header in it,&amp; paint it one day. 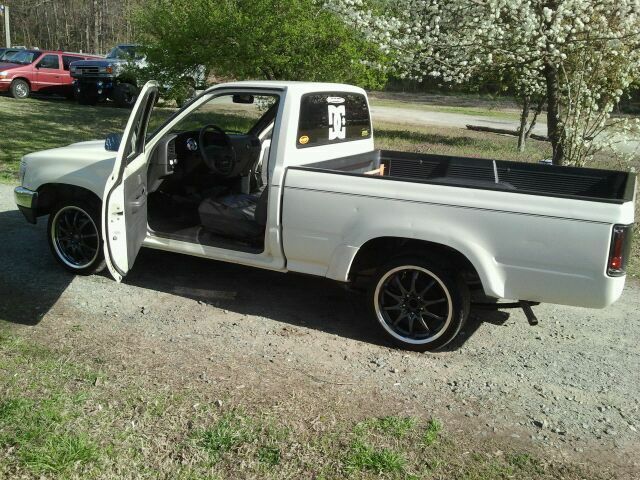 It will happen but not over night.Just 1 piece at a time.